We’re not sure what the ratio of males to females is at Coachella, but it’s hard to believe that this gorgeous woman stood alone, waiting for friends, for a very long time. Where else but Coachella can you run in to a former Miss USA/Miss Universe, looking immaculate and quite available. Olivia Culpo, 26, probably IS available – her on-again off-again football player boyfriend was caught cheating more than once. Hopefully she found the fun she was looking for. There aren’t many women around who would take offense at a Vanity Fair photographer photoshopping them to look more attractive. In fact, most women would be thrilled just to appear in the magazine. So Rumer Willis (above, center) proved herself one of a kind when she called out Vanity Fair for altering her chin in a photo. We witnessed the cruel comments people made online about her appearance when she was growing up and felt awful for her. She has apparently gotten over it and has confidence in her looks today. 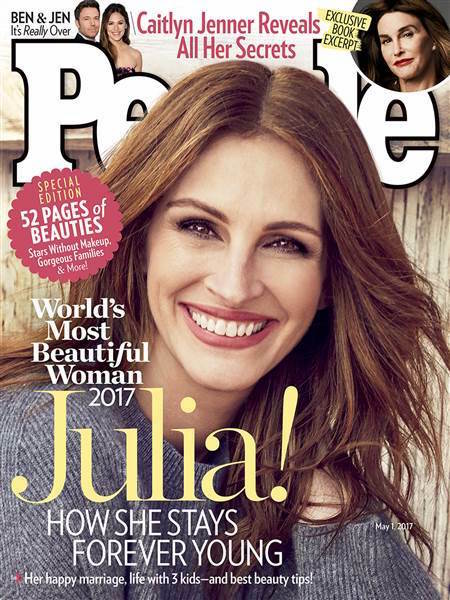 Rumer said “Altering someone’s beauty is a form of bullying.” The photo never appeared in the magazine, only online, and the photographers responsible claim they only made corrections necessary because they used a wide angle lens and never intended to change her looks. We side with Rumer, and are amazed that she has the courage to declare herself beautiful while most models don’t think they are. Wouldn’t it be nice if the pursuit of beauty was NOT emphasized to little girls growing up? Jaclyn Smith walked out of Craig’s restaurant and looked surprised when fans and photographers swarmed her. Charlie’s Angels is long gone, but not forgotten. What really IS unbelievable is the fact that Jaclyn, whose collections for Kmart are hugely successful, is 69 years old. We will probably NEVER know exactly what she does to look so natural and pretty, but at least we can dash over to Kmart and buy some of her skin care products. 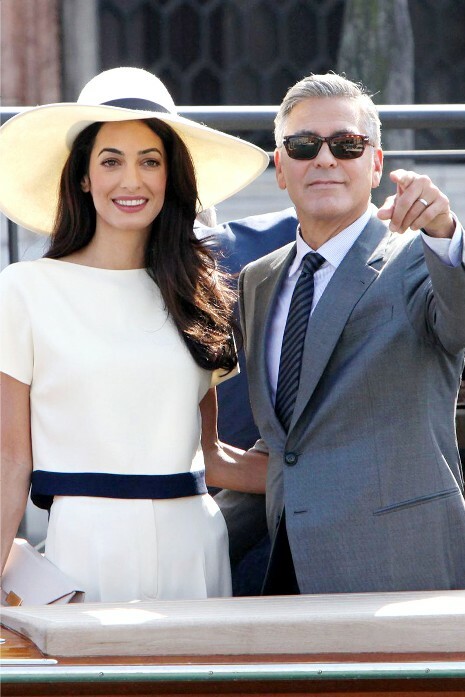 Has anybody else noticed how much Amal Alamuddin has EVOLVED since she started dating George Clooney? She was always attractive, but never seemed terribly confident about her looks or obsessed with fashion. She was a busy, slightly frazzled lawyer. This wedding weekend she appeared in multiple fabulous outfits and always looked devastating. Now she’s a world class beauty. We suspect George has a team of experts that he brings in to prepare his women for special public appearances. Bruce Willis and his wife Emma Heming took a recent flight from New York to Los Angeles and they were very friendly, chatting with the crew. One pretty young blonde flight attendant complimented Bruce “You have really nice skin in person!” Bruce, 57, LOVED hearing that, and before he got off the plane he asked the blonde for her address. The young woman looked stricken and glanced at Emma who assured her “It’s okay – go ahead.” Bruce took her address and a week later the flight attendant received a travel case filled with all of Bruce’s favorite skin products – some from a Beverly Hills dermatologist. KANYE WEST AND KIM KARDASHIAN: FIGHTING OVER THE MIRROR? Kanye West and Kim Kardashian may not be the best-liked or even the most believable couple in town, but the fact is, they DO have a lot in common. First of all, grooming. These two never leave the house without having every hair and eyelash in place. Even when they’re casually dressed, they are immaculate – not a blemish in sight. They both must spend hours in hair salons, and other beautification places. Plus, both are heavily involved in the fashion business and can certainly use each other ideas and feedback. We’re not crazy about Kanye, but we think he has a more sophisticated fashion sense than Kim. All we can say is WOW. “Young Adult” star Charlize Theron is such an effortless natural beauty and she is radiant in this photo taken as she arrived at The Letterman Show. Many women can look beautiful on the cover of a magazine with good lighting and lots of help, but Charlize looks drop dead gorgeous just walking down the STREET. No photoshopping necessary. A certain pharmacist in New York casually remarked to a friend of ours that Demi Moore has been using HGH (Human Growth Hormone) for YEARS. We were fascinated because that WOULD explain her unnaturally youthful and sinewy looks. HGH supposedly turns fat to muscle and turns back the clock as far as skin and hair and energy are concerned. Sylvester Stallone is a huge fan of the product, which is not illegal in this country, but somewhat suspect. Side effects from long-term use have not been established and there could be a price to pay for the youth enhancing shots.